The 46th annual MayFair Plant Sale will be held Wegerzyn Gardens MetroPark is located at 1301 E. Siebenthaler Avenue in Dayton on Saturday, May 4 and Sunday, May 5. 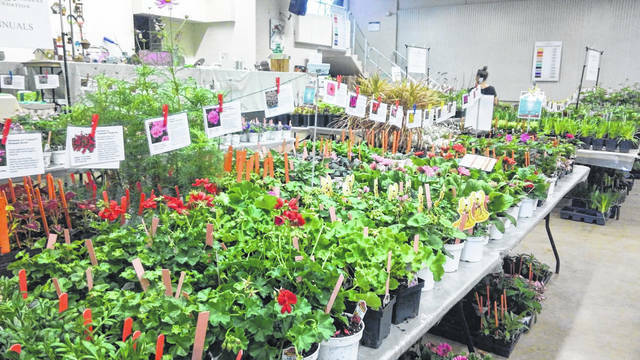 DAYTON — Just in time for spring planting, Wegerzyn Gardens Foundation will hold its 46th annual MayFair Plant Sale the first weekend in May. The plant sale will feature large varieties of vegetables, perennials, annuals, shrubs, vines as well as garden art and gifts. Proceeds from the sale go to Wegerzyn Gardens Foundation to support special projects and programs at Wegerzyn Gardens MetroPark. The sale will take place on Saturday, May 4 and Sunday, May 5 in the Wegerzyn Gardens MetroPark auditorium. A members-only preview sale will be held on Friday evening. Anyone may join as a member during the sale to receive special discounts. Hours of the sale include: Saturday 9 a.m. to 3 p.m. and Sunday 11 a.m. to 3 p.m. The Friday members-only sale is 5 p.m. to 7 p.m.
Wegerzyn Gardens MetroPark is located at 1301 E. Siebenthaler Avenue in Dayton. Please visit the organization’s website for more details, www.wegerzyngardensfoundation.org.